Gravitation affects the deBroglie wavelength of neutrons. This was elegantly demonstrated by an experiment at the University of Michigan’s Phoenix laboratory done in 1975 by Robert Colella, Albert Overhauser, and Sam Werner. 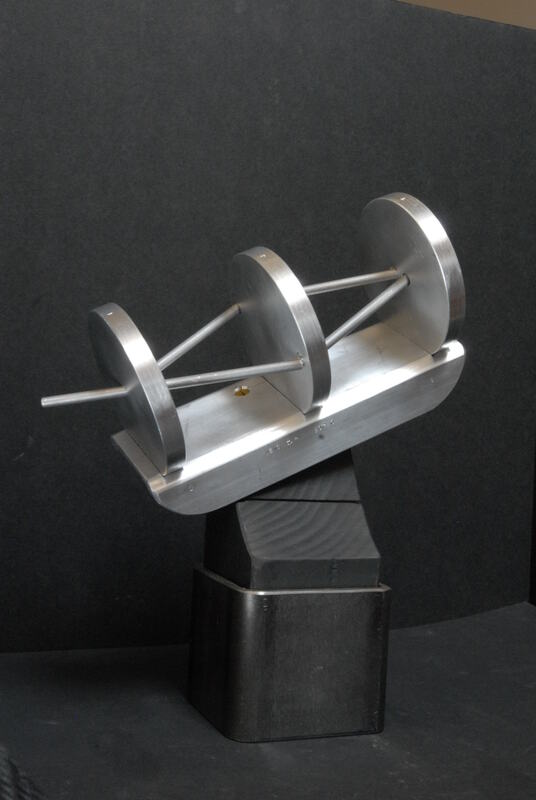 They used an interferometer cut from a single crystal of to observe the quantum-mechanical phase shift of neutrons caused by their interaction with the gravitational field. The experiment is one of extraordinary delicacy in which phase shifts are measured while the silicon crystal interferometer is rotated about an axis parallel to the incoming neutron beam. Even though the interferometer is made from a single crystal, it sags minutely as the rotation occurs. The sag is monitored by doing x-ray diffraction over the same paths. The experiment consists in comparing the x-ray diffraction shifts to the shifts observed for the neutrons. 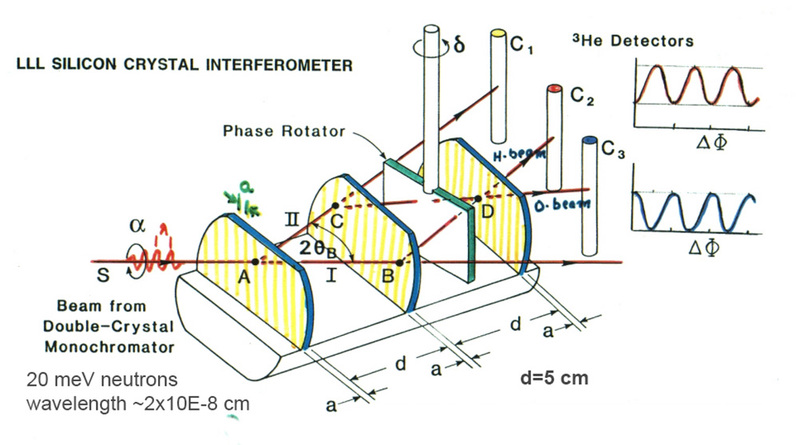 The overall length of the interferometer is about 10 cm, and when rotated appropriately, there is about 2 cm difference in elevation between the upper and lower beam paths. The results are in striking agreement with theory. Maybe NERS/Ron G can find a patron to do this..They got a building after all ! !